When you think of Luxury Cars, you probably think of Mercedes-Benz, High-end BMW's, Cadillac, Lexus and such. Back in 2009, Hyundai released the Genesis. 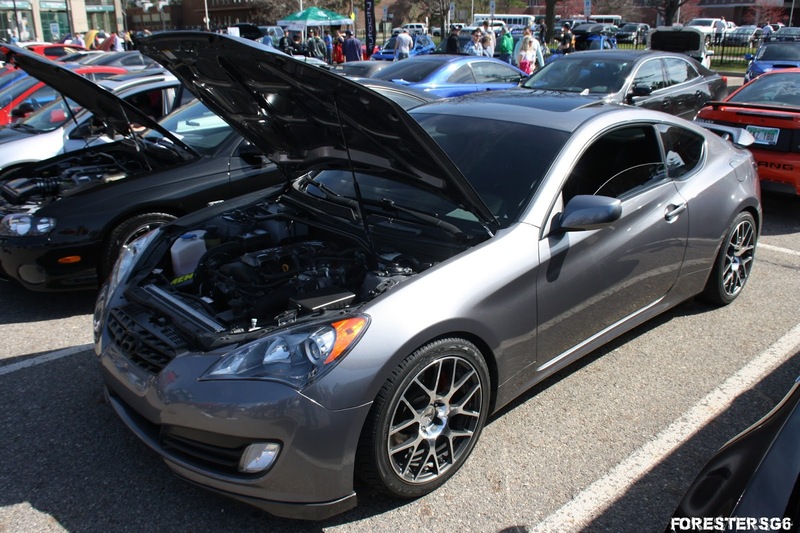 There were 2 variants of the Genesis: the coupe variant, which, oddly, didn't share much with the sedan other than engine, automatic transmission and some suspension bits. The Sedan, however, was new ground for Hyundai. Available with either a 3.8L V6, a 4.6L V8 or, eventually, a 5.0L V8. 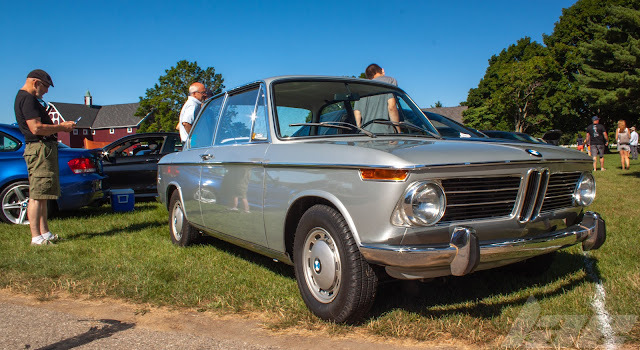 The V6 models were available with All-wheel drive. As of the 2017 model year, Hyundai has gone the way of Toyota and Nissan. 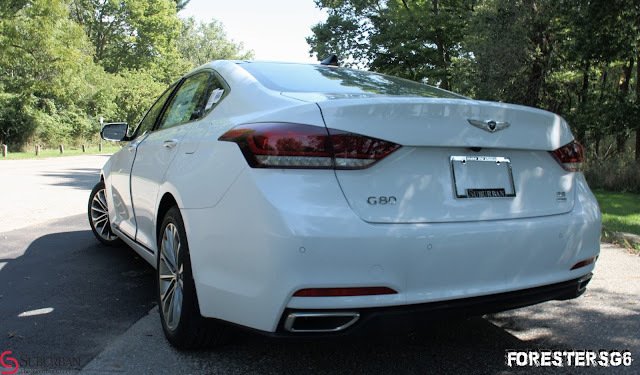 Much like the aforementioned manufacturers, Hyundai has realized that it will be easier to sell it's premium cars under a new marque, with no visible exterior Hyundai badging. When Hyundai first entered the US market in 1986, with the Excel, they had a rather effective approach. They priced the car so inexpensively that it was nearly half that of its closest competition from Toyota or Honda. But there was a reason the Excel was so cheap. Corners were cut in the manufacturing which hurt the reliability. 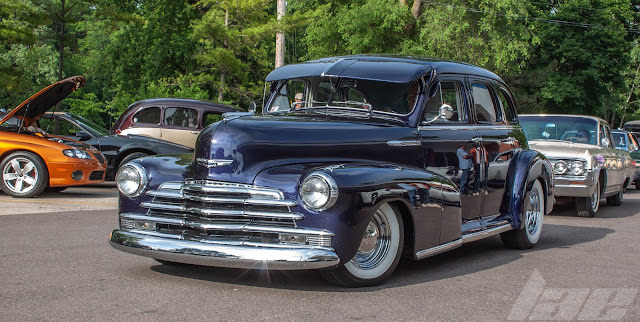 As you can imagine, much like the fiasco with the General Motors 350 diesel engine, it set a long-lasting bad impression with the American car buyer. 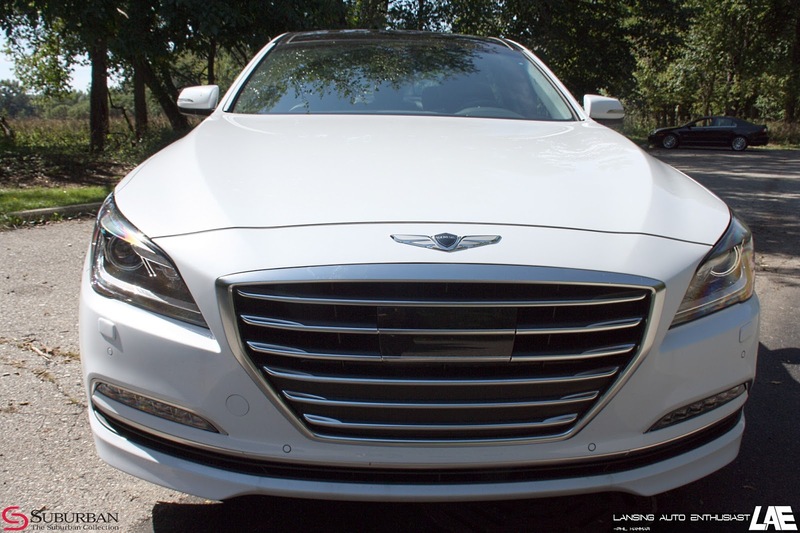 As the first car in the Genesis marque lineup, the G80 shows great promise. Available with either a 3.8L V-6 engine (3.3L V6 in non-american markets) making about 311hp, or the impressive Tau 5.0L DOHC V-8 making 420hp, both variants have little difficulty getting the nearly 4,100lb car up to speed. The V-6 models are available in both RWD or AWD. The V8 is only available in RWD at this time. You may notice the rectangular cover in the grille. This covers up the car's Radome. The G80's have an optional Radar-guided cruise control, lane keep assist, blind spot monitoring and collision avoidance systems. This version I drove, painted in Casablanca White pearl, had every option I would want if I bought one. 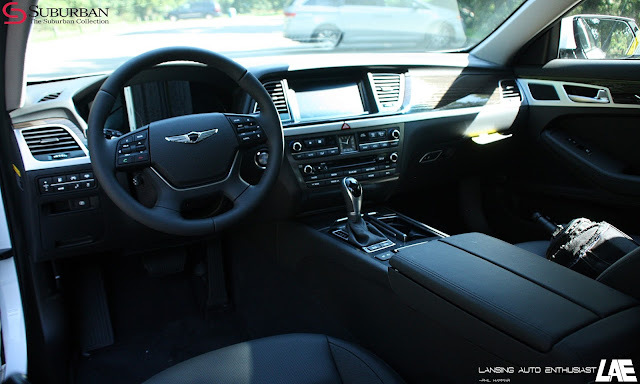 Navigation, Bluelink, XM/Sirius, dual zone heated and air-conditioned leather seats, Lexicon audio, panoramic sunroof and more. This particular example, still available for sale, (Stock # HLH0060, if you were interested) is listed at just under $50,000. With that, though, you get the standard Hyundai 100,000 mile warranty, 3-year complimentary maintenance on things like air filters and oil changes, a special Concierge Service (might not be in effect just yet) where, with the help of a Hyundai App, you can arrange for a valet to pick your car up, take it to the dealership for service, and return it to you when service is complete, making it so up to 80% of your dealer interaction is done on the phone via the Genesis experience manager or the Valet driver. Even Cadillac doesn't do this. As I've tried to mention in every car review video I've done, don't take my word for it. Go test drive a Genesis yourself. Preferably one from the Suburban Collection....because they write my paychecks every week. 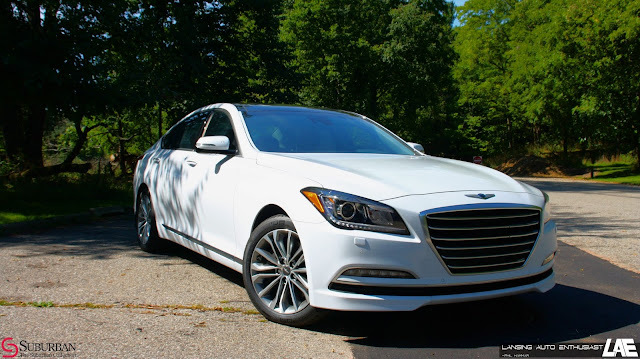 I've got to thank Tyler Laudenslager, the New Car Sales Manager at Suburban Hyundai in Lansing, for letting me take this car out on a test drive. Also, thanks to Bob Kanerva, general manager at Suburban Lansing, for being cool with me reviewing brand new cars.